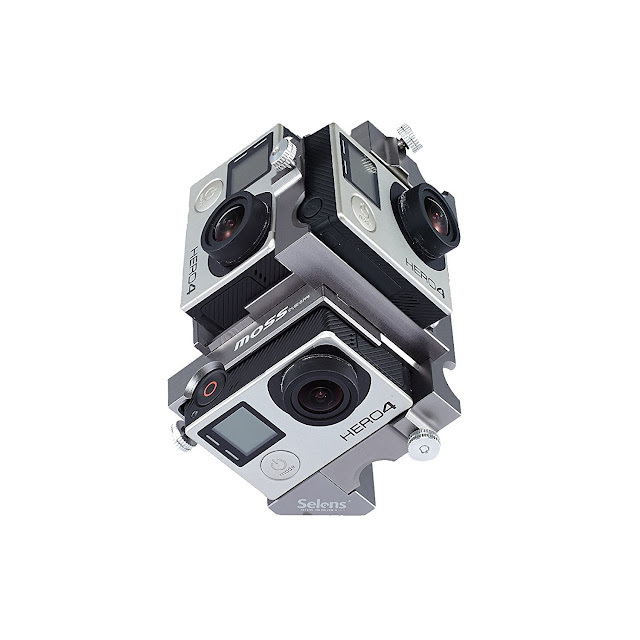 Here are not one but TWO affordable frames for 360 camera rigs. 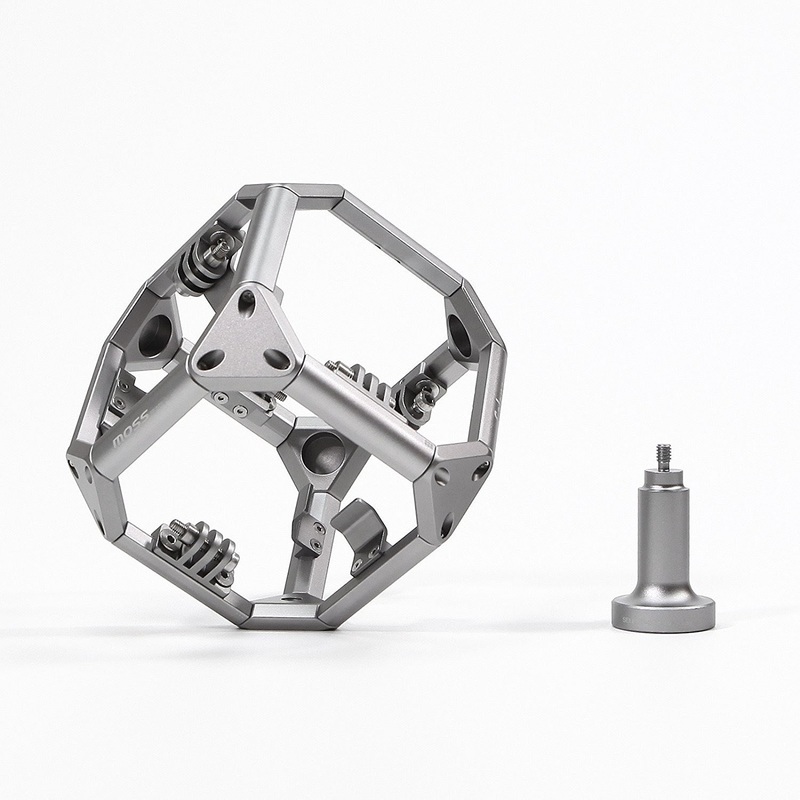 This is an all-aluminum 360 camera rig for GoPro cameras. Because the GoPros remain in their housing, the GoPros are waterproof. However, please note that if you use this underwater, refraction will decrease the field of view significantly, so you won’t be able to stitch a 360 video that was recorded underwater. 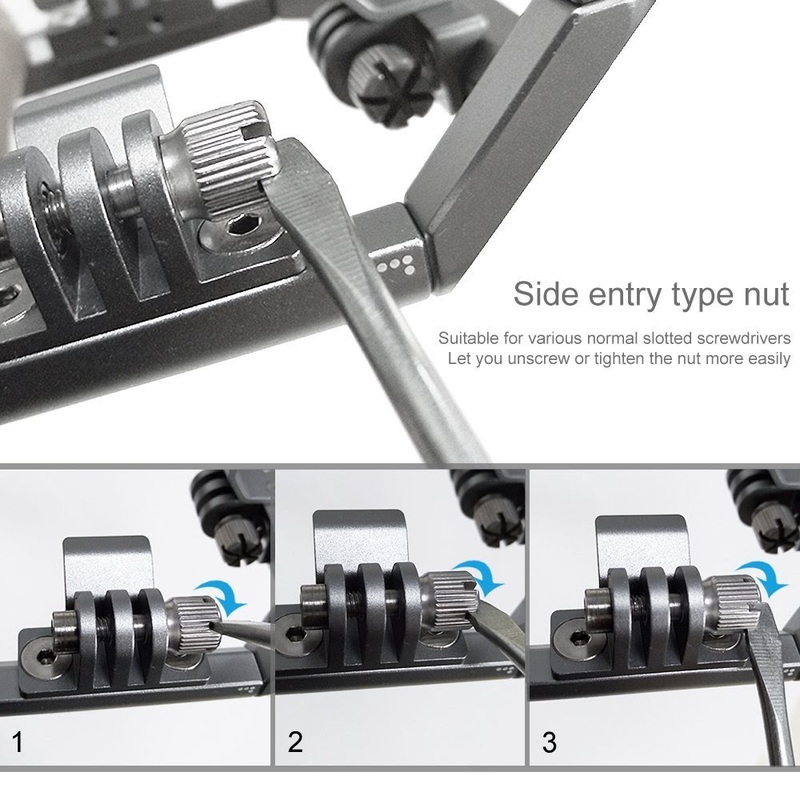 The rig features screws with slots on the side so that you can use a screwdriver from many angles. The Selens rig was designed for GoPro cameras, but because it uses the common GoPro style mount, it MIGHT be possible to use it with other action cameras that have a GoPro style mount and have a field of view that is equal or wider than the field of view for a GoPro. One Amazon reviewer said that the rig worked on an all-Hero5 rig. Another user on Amazon said that the number 6 camera position was wrong but if the frame is reassembled and the bracket is moved, it will work correctly. The Selens rig is currently on sale at Amazon for $89. 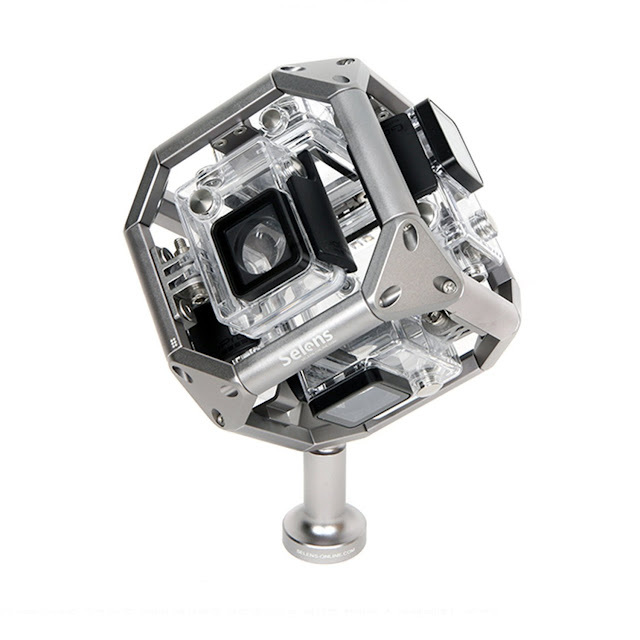 The SE-GPP6 is another all-aluminum rig that also uses six GoPro cameras, in a very compact configuration. The smaller distance between lenses means it is easier to stitch. According to the specs, it is also compatible with Yi action camera, but I doubt it. 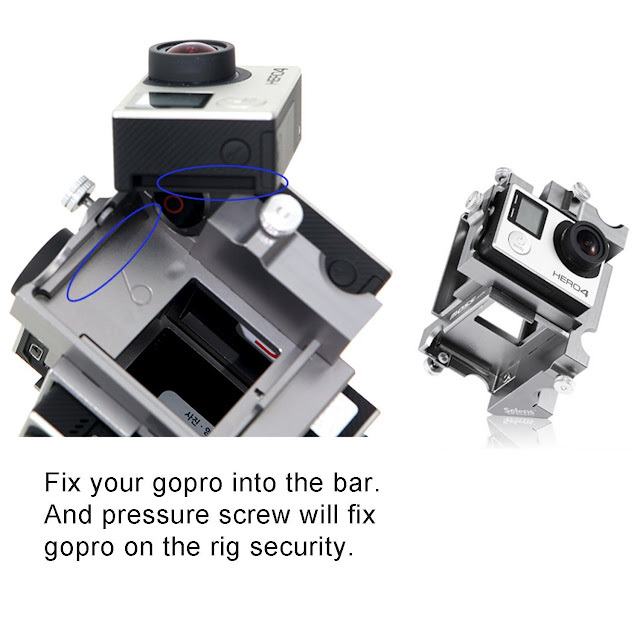 GoPros are attached to the mount using a groove on the side of the GoPro Hero, and Yi action cameras don’t have a similar groove. The SE-GPP6 compact rig is currently on sale at Amazon for $89. . Please note the cost of either rig does not include the cameras nor the stitching software, which is also pricey. Autopano Video Pro is probably one of the most, if not the most, popular option for stitching 360 videos, but it costs $749. Mistika VR is a software that can stitch rigs in this configuration and costs EUR50 per month. The lower upfront cost could make it more affordable for many shooters. I own and use both of these rigs. 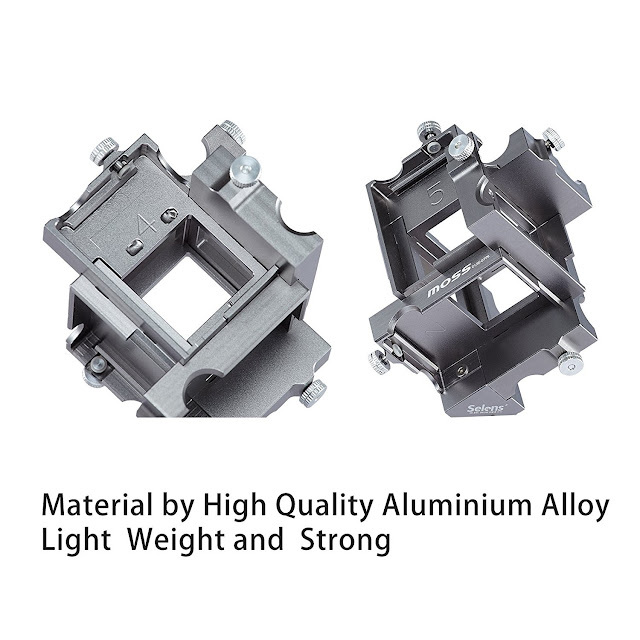 They are nice because of their durability and cost. That being said, I also own a Freedom 360 rig which is much lighter in weight which could be a huge advantage if you plan on flying the rig with a drone or using a stabilizer. Both companies have numbering systems printed on or in the camera mounts which makes troubleshooting much easier and allows for easier camera management. The SE-GPP6 is slightly more difficult to make sure you have perfect camera alignment than the Freedom 360 mount but if you take your time while setting up the mount it is not an issue. As with any multi-camera mount you should take a test picture and stitch it before shooting footage to be sure camera alignment is correct. Both Selens and Freedom 360 make a great product. Hi and how do you shoot all devices at the same time ? I use a GoPro WiFi remote synced to all 6 cameras. This does not Gen-lock the cameras but you can used audio or motion to sync all of the videos in the stitching software. Hi Ed. It is possible to trigger them all with a Smart Remote, which can control several GoPros at the same time.